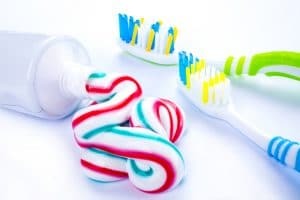 I recently read a study published in the American Journal of Dentistry, that a novel toothpaste has been developed which could help prevent heart attacks. Researchers have for a long time suggested a link between oral health and inflammatory diseases affecting the entire body, in particular, heart attacks and strokes. The new toothpaste which has been developed, Plaque HD® has shown that there has been a significant reduction in dental plaque and inflammation throughout the body, as measured by high sensitivity C-reactive protein (hs-CRP), which is a sensitive marker for heart attacks and strokes. Plaque HD® is the first toothpaste that reveals plaque so that it can be removed with directed brushing. In addition, the toothpaste contains unique combinations and concentrations of cleaning agents that weaken the core of the plaque structure to help the subject visualise and more effectively remove the plaque. The study carried out at Florida Atlantic University gave those participating, the same brushing instructions. The participants were also supplied with a 60 day supply of toothpaste containing either Plaque HD® or a regular toothpaste. The plaque was identified by the use of a special mouth rinse and photographs were taken under black light imaging. The hs-CRP levels were then measured by an independent laboratory. Everyone knows the importance of brushing their teeth, twice a day and hopefully this toothpaste will make a difference. Brushing your teeth removes plaque, which if left to grow can cause decay, gum disease and tooth loss if left uncontrolled. Toothpaste can also help to remove stains from your teeth and leave your breath smelling fresh. Toothpastes which contain fluoride also help to make your teeth less vulnerable to decay. Whilst it is important to brush your teeth, people should also ensure that they attend their dentist for routine appointments. Whilst brushing can help prevent tooth decay and other dental problems, it is still necessary to see a dentist. When attending the dentist people should also discuss with the dentist any problems they have experienced with their teeth or gums, since their last visit. It is unclear whether this toothpaste will be able to be purchased anytime soon. Further research may need to take place, before the product could be considered to be marketed for sale. However, the findings are encouraging and will hopefully make a good impact on oral health and inflammatory diseases.